Last year I posted my 2015 in theatre and with my ever-growing passion, it seemed only right to continue this year. Each year theatre is becoming more and more important to me and this year is no exception. As cheesy as it sounds, I now know its my life calling. This lead me to finally apply and successfully begin studying Music, Theatre and Entertainment Management at Falmouth University, hoping to get into the theatre industry myself one day. Its been one of the best decisions I've ever made- Falmouth University and my course is so perfect for me and I am beyond happy there. I cannot wait to continue my time there in the new year. I'm looking foward to seeing what else it brings me in 2017. Alongside the stress of applying to university, of course I kept up my passion of attending as much theatre as I can. This year I hit a personal record of seeing 42 different theatre productions and attending the theatre over 53 times. (That's nearly once a week!) I've experimented with so much different theatre this year which is what I'm most proud of. As someone who is most definitely musical theatre orientated, this year I have immersed myself with other genres such as plays, dance, comedy, new writing and youth productions which has been so refreshing and I have a new found love beyond musical theatre. I have also had some fantastic experiences working in theatre this year. Continuing my fantastic work with the Theatre Royal Plymouth, next year brings more exciting opportunities which I cannot wait to talk about! Another highlight was spending the week working with Masterclass at the Theatre Royal Haymarket and TheatreCraft. I had been planning this work placement since the beginning of the year so by the time it came around in November I was delighted. It was so great to experience the working of such a large event such as TheatreCraft and the day to day running of one of the most legendary theatres in the West End, the Theatre Royal Haymarket. Check out my blog post here. I also had the completely surreal opportunity to attend the Evening Standard Theatre Awards. Far from my usual student and work- riddled life, I felt like Cinderella as I dressed up in a fancy dress, was ushered into a room full of glitzy celebrities and handed a glass of champagne which just kept getting topped up and up. It was a complete dream to be part of such an evening and I left feeling absolutely inspired and excited about the future of theatre. Read my blog post here. 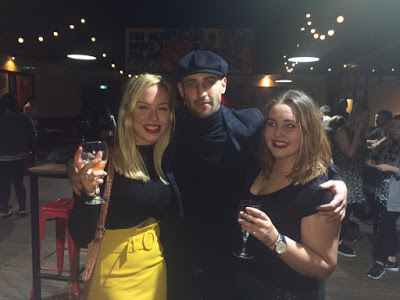 In the past years, my theatre experience has generally been confined to my hometown theatre, Theatre Royal Plymouth, as its just the easiest and cheapest option. Although this year I made sure to push my boundaries and explore more. I've visited London more times this year than I have the rest of my life! By making so many trips to London this year, I've become so comfortable there and it has further strengthened my desire to work on West End one day. I also visited theatres in Cardiff, Cornwall and Birmingham and although they were all completely different, I fell in love with them all. Billy Elliot The Musical quickly became one of my favourite musicals ever, let alone of this year. Having never had seen the show on West End, I was thrilled when the first UK tour premiered in Plymouth. I was lucky enough to attend their dress rehearsal, followed by press night and closing night. I have also since travelled to Cardiff to catch the show again this summer, totalling six visits to the show this year. Its a truly beautiful show and this UK tour is one of the best shows you will ever see. Check out my review here. The highly anticipated world premiere of The Wind in the Willows The Musical made its debut at the Theatre Royal Plymouth too. It was a stunning show, with some of the best set I've seen all year. It was perfectly staged and the quirky performances were right up my street. I would love to catch it as it hits the West End next year! Check out my review here. 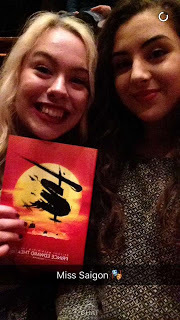 In February I was lucky enough to attend the last West End performance of Miss Saigon at the Prince Edward theatre. It was my first (and last) time seeing this show and it quickly became a firm favourite. This performance was particularly outstanding as the actors put 110% effort and emotion into their last show, and with special guests Cameron Mackintosh, Alan Boubil and Claude Michel Schonberg, it was the cherry on top. Miss Saigon is a complete theatrical masterpiece and I really hope I get to see it again someday. Check out my review here. 2016 has well and truly solidified my obsession with Lin Manuel Miranda- he is a true genius. Whilst waiting for the highly anticipated Hamilton to hit West End, I was eager to check out some of Miranda's other work. As well as watching his mini-musical 21 Chump Street, I quickly became obsessed with his first ever musical In The Heights. I saw the show three times in 2016, including a very exciting first birthday party for the show. In The Heights explodes with passion and vibrancy and includes some of the best music and dance routines I've seen. 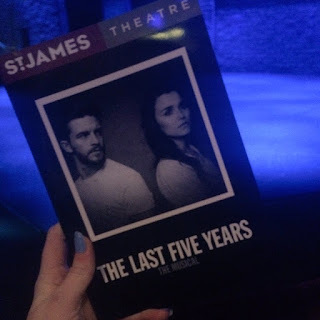 Its easily one of my favourite shows of all time- I'm very sad to see it leave London! Read my review here and my interview with Sam Mackay, who plays lead Usnavi, here. 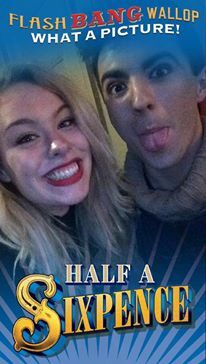 I was ecstatic to be invited to the press night of Half A Sixpence in November. There has been such a buzz about this show since its opening at Chichester, and now its found a firm home in the West End at the Noel Coward Theatre. It was a surreal evening as Shaun Nolan and myself were seated in our own box in the stalls and were surrounded by the likes of Queen Elaine Paige and Cliff Richards themselves. Half A Sixpence is a hugely impressive show and I was so eager to see it again, I quickly made a return visit in December. The remodelling of the classic musical with stunning choreography and fantastic performances from the actors, especially new leading man Charlie Stemp, is totally refreshing and I've fallen in love with it. Read my review here. 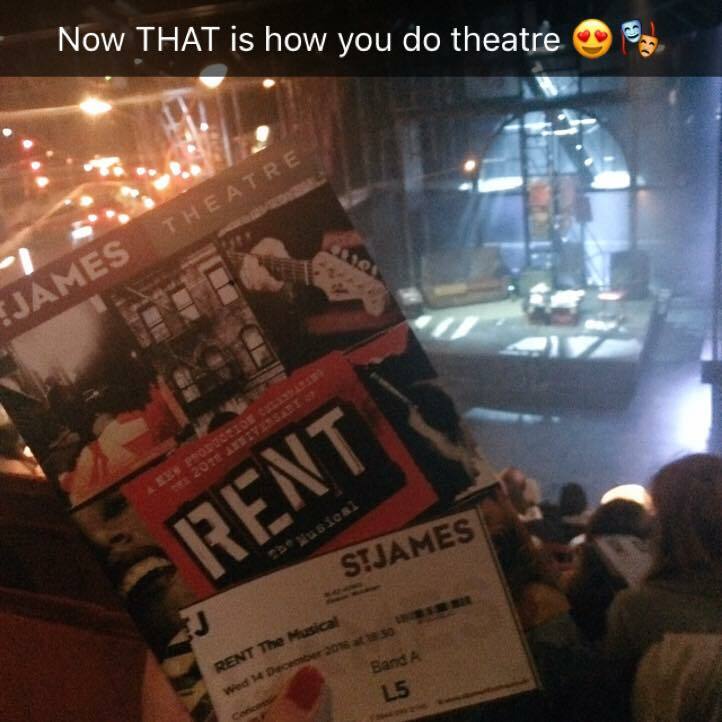 Rent is a revolutionary piece of theatre and one that will stay with me for a very long time. 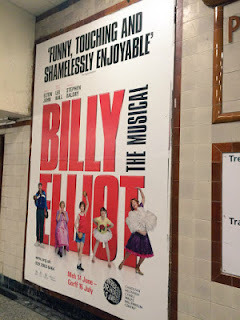 This UK tour embarked on a month long run at St James Theatre in London and I managed to see the show in December. To say that I was blown away is an understatement, It was visually stunning, with fantastic choreography and staging alike. The music is beautiful and it portrays such a hard-hitting and emotional story through Jonathon Larson's stunning melodies and lyrics. The casting for this production was perfect and the chemistry on stage was electrifying. I'm desperate to see it again. The music from The Last Five Years is some of my favourite music ever. I could listen to its songs day in, day out, and never get bored (in fact, that's exactly what I already do!). So I was thrilled to catch the new production at St James Theatre this November. I adore the structure of this show, with Cathy's story told in reverse chronological order and Jamie's story told in chronological; Its a really interesting concept and not everyone can warm to it, but personally I think it makes a great show. The staging is very simple and all focus is put on each performer (Samantha Barks and Jonathan Bailey) who perform separately, bar one song in the show, as the emphasis of the whole production is mainly the beautiful music. Its so simple and beautiful- I absolutely loved it. Although its such an old classic, my love for Phantom of the Opera has excelled this year. 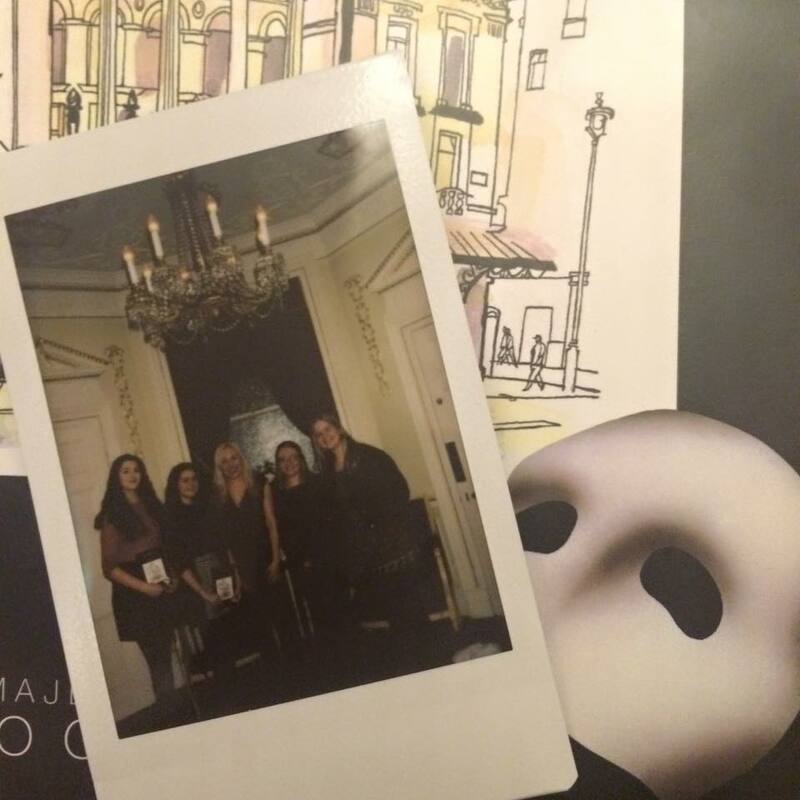 At the start of 2016, my friends and I were lucky enough to go backstage at the beautiful Her Majesty's Theatre before and after the show which was the most magical and insightful experience. To stand on that iconic stage and look out into the auditorium was a dream come true. I saw the show twice during the year and it blows me away every time. The heart- wrenching orchestrations and mysteriously seductive story never fails to amaze me. It celebrated its 30th birthday in the West End this year which I think is a fantastic achievement, and long may it reign. 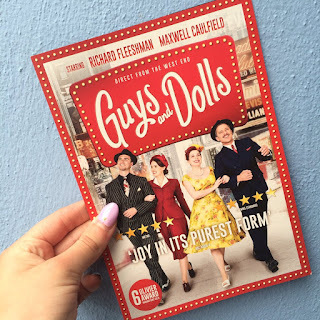 I had the pleasure of seeing Guys and Dolls both on tour and in the West End during 2016. This iconic old musical has been given a new lease of life with this upbeat new production. It is the definition of a feel- good show, and both the tour and show at the Phoenix Theatre in London proved this with its impressive choreography and classic toe- tapping songs. A particular star for me was Richard Fleeshman who blew the roof off the theatre as he performed as Sky Masterson, he oozed with charm and ridiculously strong vocals. In November, Matthew Bourne (one of my favourite choreographers) premiered his latest show, The Red Shoes, at Theatre Royal Plymouth. I attended its sold-out opening night and was astounded by his new production. Bourne's choreography is gripping and so beautifully coveys even the most complex of story lines. A really impressive dance show. Read my review here. As you can see, its been such an impressive year of theatre- some really revolutionary pieces continue to brace the UK stage which is delightful to see. I can't wait to see what 2017 brings! Figuring out your passions and being able to follow them is a true blessing. I’m glad to know that you are enjoying university. Best of luck for your future.